Welcome to the best man’s guide on black suit in 2018. 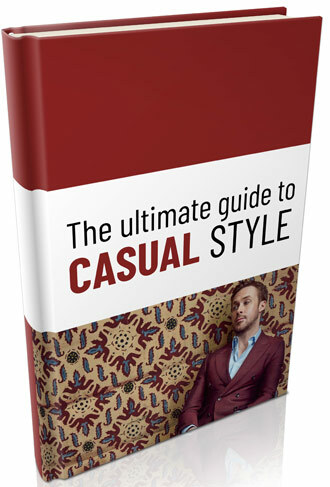 You are about to learn how to pick, wear and buy a well-fitted tailored black suit. The Debate – Should Men buy a Black Suit? Let’s take a closer look at all the elements of a man’s black suit guide and answer the question whether every man should own it! The black wool suit is an imposing piece of menswear: somber, formal, and dignified. Its austere severity makes it an intimidating purchase, but an invaluable addition to the right man’s wardrobe. 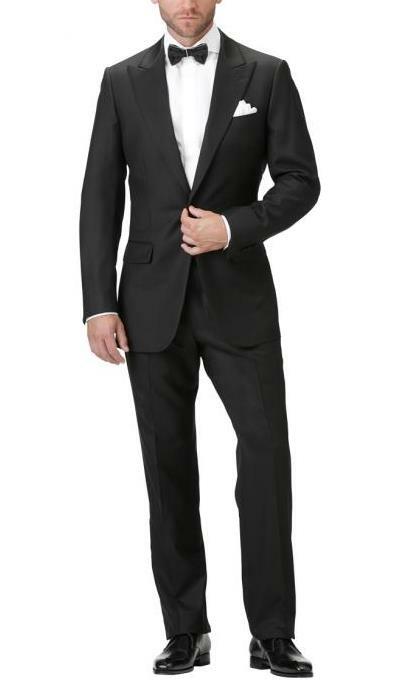 Many men keep a black suit as their “wedding and funeral” suit, always appropriate for any serious occasion. Handling the stark color requires more attention to detail than other styles, but the striking effect of a black suit worn well is more than worth the extra effort. 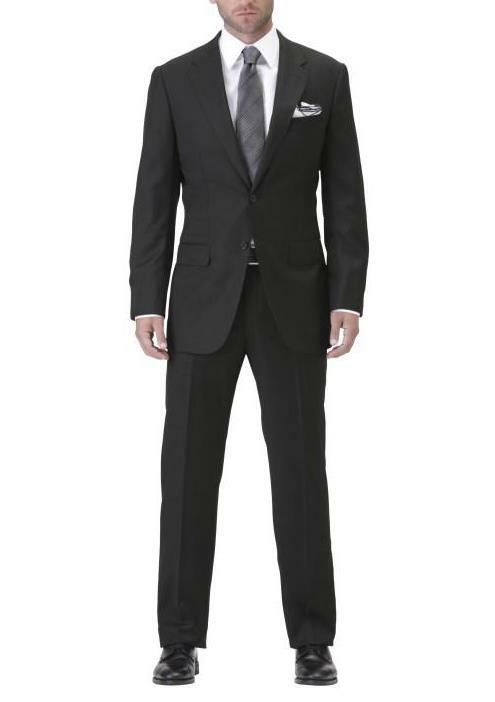 An un-patterned black suit is the most formal piece of business wear available to a man. 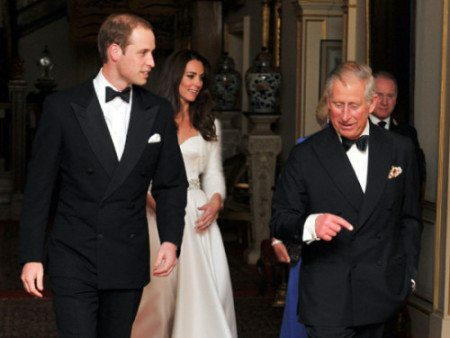 Anything more formal moves into the realm of the black-tie dress code, with a tuxedo replacing the suit. Patterning will reduce the formality of the suit somewhat, though it’s rare to see black wool with anything beyond a very modest striping. A patterned black suit will usually still serve as a formal business dress, appropriate for anything but somber occasions such as funerals. Plain black suits are almost always made from wool. The visual weight of unbroken black is too overpowering to pair with a light, billowing fabric or a high-sheen textile. Even wool suits may seem too slickly smooth if the wool is very fine, giving the wearer a slightly artificial appearance. Small amounts of synthetic fibers can add strength and durability to a wool suit, but more than a minor addition to the blend will give black a faintly reflective quality that looks garish in most lighting. Black suits are often made from the undyed wool of black sheep. Woven thickly, it gives a very clean drape that helps with the imposing effect of the dominant color. Black garments are naturally eye-catching, making a good fit extremely important. A badly-fitted black suit draws the viewer’s attention to its unattractiveness. Larger men want to avoid looking looming and overstuffed in black, while smaller men need to be cautious of seeming overpowered by their clothing. The fall of a black suit coat from the shoulder to the hip is particularly important: to flatter the wearer, a black jacket should always taper gently at the waist, keeping the man from looking like a solid wall. The suit should never be tight enough to pinch or wrinkle when it moves, nor loose enough to fold or billow on its own. 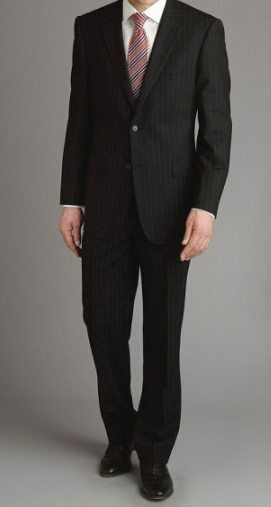 Since a black suit is already inherently formal, it makes an excellent color for a vested or a double-breasted suit. Either option will usually be executed in patterned black rather than sheer; the visual effect of monochrome black wool over the entire front of the body tends to be too overpowering. The added elegance of a three-piece or double-breasted suit more than compensates for the informality of patterning, keeping the suit appropriate for all business-dress occasions. Upward-sweeping peak-style lapels on the jacket is another excellent option that adds a bit of motion to the visual impression, keeping it lively despite the “weight” of the color. At their most formal, black suits are worn with plain white shirts and a black tie. 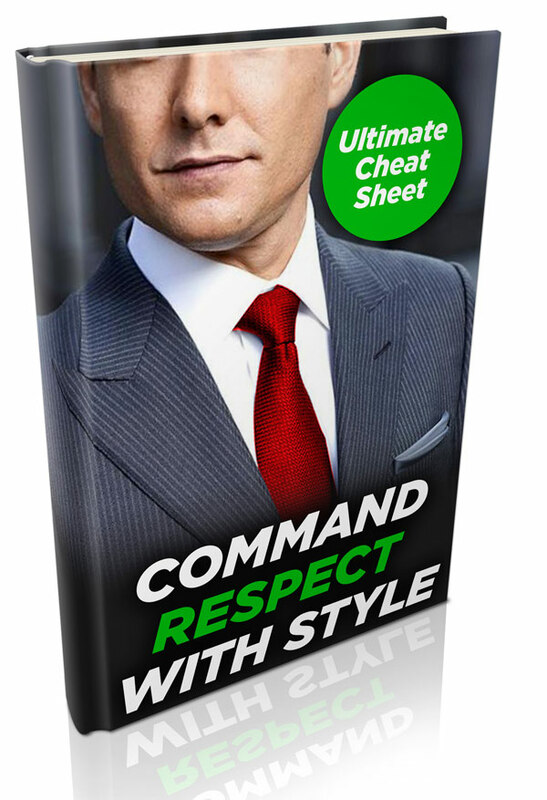 In practical terms the full formality is rarely called for — a man might want to observe it at a funeral, or when the suit is being worn in place of a tuxedo at a “black tie optional” event, but otherwise the options for dress shirts and ties have some flexibility to them. Patterns with a white base keep the formality high while breaking up the stark visual impression, making them common in shirts for business wear; un-patterned shirts in brighter colors contrast with the black to make a vibrant look suitable for evening entertainment and social events. Black in large quantities can be overwhelming on men with pale complexions, particularly “low contrast” men who have lighter skin and lighter hair and eye colors. A fair-skinned man with dark hair can manage the contrast of a light shirt and black suit without difficulty, but a blonde with the same skin is going to appear somewhat washed-out, particularly under any kind of fluorescent lighting (which has an unfortunate tendency to turn lighter colors slightly purple or greenish). Low-contrast men will look best if they pair black with dark solids, or simply opt for an extremely deep charcoal instead. Black pairs equally well with gold or silver metallics, but will look gaudy with both at the same time. Be sure that the watch, belt buckle, tie clip, and any other metal adornments match when wearing black. Men with glasses should keep the tint of their frames in mind; most eyeglasses will register as either golden or silvery enough to be a mismatch with the other color. There is quite a bit of discussion as to whether or not a black suit is a smart color choice for a man’s suit. The arguments are that black should be reserved for formalwear and is not a traditional suit color, that black is difficult to match, limits accessories, and that black is too stark of a color to work with most men’s features. Some of these are solid points – others, less so. As you can guess, my stance is that a black suit has a place in a man’s wardrobe; however as previously pointed out it is not the best suit color for men whose complexion and needs call for lighter shades. A tan skinned, dark-haired man can pull of the contrast a black suit and white shirt combination requires; his red-headed and pale completed friend, on the other hand, is going to look better in clothing that doesn’t compete with his face for attention. As for the other arguments – not traditional and hard to accessorize – I answer times have changed and if you can’t accessorize than you lack imagination and haven’t put enough thought into it. The fact is the black suit is one of the three most popular fabric choices for men looking to purchase their first suit – to simply sign it off as poor judgment ignores the reality that men freely choose this option. Thus men everywhere have spoken with their actions. Because of its intense visual impression and the occasional challenges of matching it, a black suit is not the best choice for a man who needs one suit for rare special occasions. A charcoal gray or a navy blue offers more versatility for nearly the same level of formality. That said, black makes an excellent suit for anyone who expects to regularly attend serious or formal events, or who simply needs a little extra visual weight and authority in his wardrobe. If you already have a suit in your wardrobe and it’s looking like a second would be a worthwhile investment, a black suit may be your next step.